Aguila 40 S&W Handgun Ammo for Personal Protection/Target. 40 S&W, 180 GR, Full Metal Jacket Flat Nose. Box price, 50 Rounds/Box. Aguila's centerfire pistol ammunition is engineered for consistent accuracy and performance round after round. 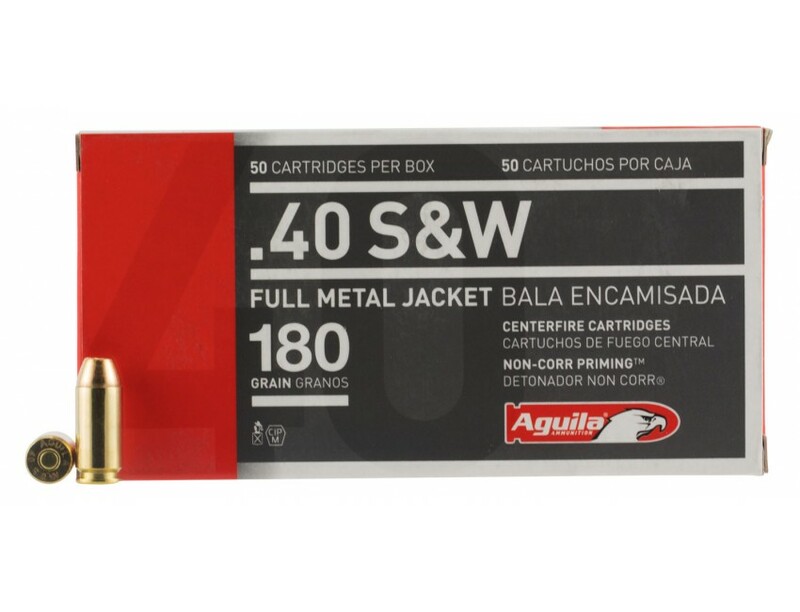 It features "Non-Corr Priming" for reliable ignition no matter the weather conditions.This 40 S&W has a full metal jacket flat nose bullet and comes packaged 50 per box, 20 per case.